Pope Francis greets pilgrims in St. Peter's Square during the Wednesday general audience on April 16, 2014. Credit: Daniel Ibanez/CNA. 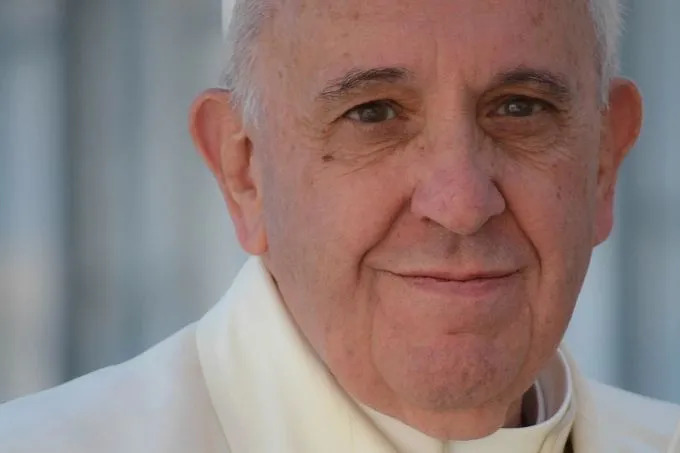 Vatican City, Apr 17, 2016 / 06:42 am (CNA/EWTN News).- Pope Francis on Sunday reflected on the great suffering he had witnessed at the refugee camp in Lesbos. He remembered especially the children he encountered, as well as the husband of a Christian woman who was martyred by terrorists.